In typical years, summer heat means daily watering, but with tough California water restrictions in place homeowners have to find creative ways to make less water go further in their gardens. Apply Biochar to Your Landscape: Biochar is an all-natural charcoal-like substance that improves moisture and nutrient retention in soil while providing a habitat for beneficial soil microorganisms. 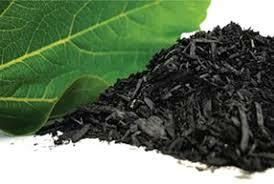 Look for lawn and garden care products at your local nursery that contain a blend of soil amendments and biochar. Apply the mixture to your landscape. Since biochar holds in moisture, lawns can go longer between waterings. Reduce the Size of Your Lawn: A lawn does not have to dominate a front or backyard. Reduce its size and ring the remaining grass with drought tolerant plants. These plants not only take less water, but also need less maintenance than the once-a-week mowing that lawns require. Change Your Watering Schedule: Many cities only allow watering two or three days a week on specific days. Check with your city for restrictions and schedules. Fines can run as high as $500 after previous warnings and violations. When using automatic sprinklers, set timers to run on between 4:00 a.m. and 7:00 a.m. to cut down on daytime evaporation. Make sure water is absorbed into the soil and not spraying sidewalks. If allowed, water lawns for 15 minutes at a time. Use Drip Irrigation: You will use less water and water more deeply by using drip irrigation or other water-conserving methods for plants, trees and shrubs. Apply enough water to soak 6 to 8 inches into the soil. Expand Areas of Mulch: Mulch requires no water, yet it can make a garden area look full and well manicured. Intersperse large areas of mulch with drought tolerant shrubs and plants. While these plants are often slow growing initially, once established, they will grow quickly and fill out the space. If your yard already contains mulch, it may be time to add another layer. Mulch consists of various sizes of chopped wood, usually made from recycled trees and other wood materials so it naturally thins over time. Ideally, plants and trees should have about three inches of mulch around their base. When the mulch compresses to about two inches, add another layer. Mulch will retain water--a critical advantage during the year's hottest months--and keeps roots cool even during the heat of the day. Pick Vegetables Often: Pick ripe vegetables even if you do not plan to use them immediately. Vegetables that are not harvested soon enough will produce a chemical that inhibits further blossoming. Inspect plants at least every other day during the summer. This is especially true for beans, cucumbers, eggplants, squashes and tomatoes. Water Established Grapes and Berries: Established grape and berry vines and trees require surprisingly little water. Water deeply once a week until fruit is harvested. After harvest, water once or twice a month. Pick Red Chili Peppers: When chili peppers turn from green to red, they can be picked and dried for cooking. Once picked, dry them thoroughly in the sun until they become brittle. Store the dried peppers in moisture-proof containers.